Here is an extra clean dual speaker table top. The original finish still retains the factory shine. In addition it has the complete cardboard back and the base label is near perfect. 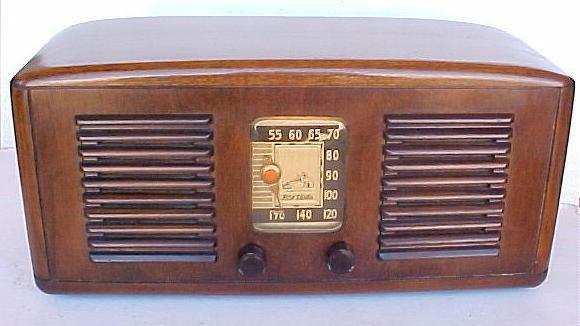 The radio has been serviced and plays well. With two speakers it puts out plenty of sound! You will not find a nicer original example. 17"W x 8"H x 7"D.